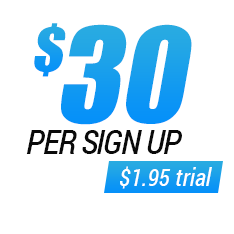 We will pay $30 for each trial sign up, no matter if it turns into a full membership or not. 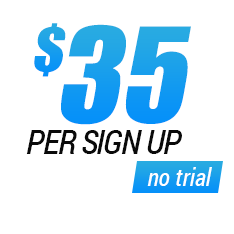 We will pay $35 for every full join. Users will not have trial options on join pages. Get 5% of webmasters referred by you, 2.5% of all profits of the second tier webmasters + $100 one time bonus. Free Hosted Galleries (FHGs) - one of the most popular marketing tools used by our affiliates. These are high quality photo and video galleries that lure surfers into joining our sites and increase your sales. There are hundreds of both photo and video FHGs for each of our sites and we regularly add new galleries with fresh content to maximize your profits. All the FHGs are hosted on our fast dedicated servers and all you have to do is to place a link with your affiliate ID anywhere you want. You can also import FHGs using our RSS feed. These galleries leave surfers no other choice than to sign up! Besides, we provide short and long text descriptions for each gallery so you can use them for creating posts on your blogs or whatever you want. Inside the webmaster area you will find a lot of well-designed banners and other creative marketing tools made to attract people and therefore generate sales for you. We have all the sizes and shapes you may need: static, animated, horizontal, square, etc. For your specific needs we can create custom banners, so do not hesitate to contact our friendly support. We will definitely work something out and create what will fit your needs! We offer quality promotional texts, reviews and short descriptions for each of our sites. Standard description length is suitable for TGP, CJ, AVS sites, video tubes, blogs and other popular traffic generating resources. Besides, you can request specific promo texts and our copywriters will quickly create exclusive blog posts, reviews, promo texts and short descriptions for your needs. We provide tons of outstanding free promotional content available in many formats suitable for even the most sophisticated web platforms and environments. 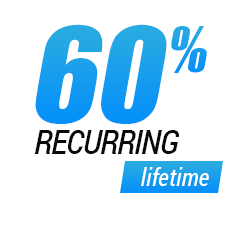 Maximize your sales using our free content in your promotional campaigns. Use it for building your unique galleries, blog posts and free sites, increase your traffic and profits! You don’t need to check for marketing tools updates manually. Just add our feed to your RSS reader and you will always be notified of new releases. Add our feeds to an RSS feed grabber on your blogs and let your blogs grow automatically! Do not know where to start? Contact our support department, and your request will be answered within 24 hours. Please use the email form to do that. Copyright © 2003-2019 LongBucks.com. All rights reserved.